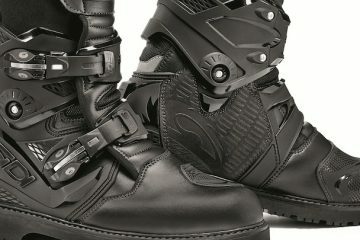 The Road Star GTX sits close to the top of the food chain in the touring boot world. Handmade in Germany, it oozes quality straight out of the box. 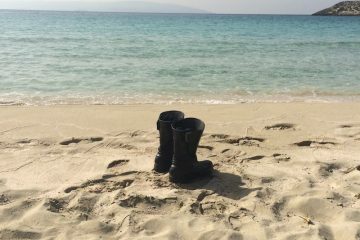 This should come as no surprise from a manufacturer that takes six to eight weeks to make a pair of boots. 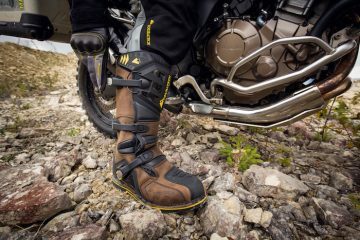 A touring boot like the Road Star GTX is intended for your daily commute, weekend rides, and to be ridden long distances for days and weeks on end in all weathers. At £419.99, the Daytona Road Star GTX isn’t cheap, but there is a reason it has proved so popular with riders over the years. 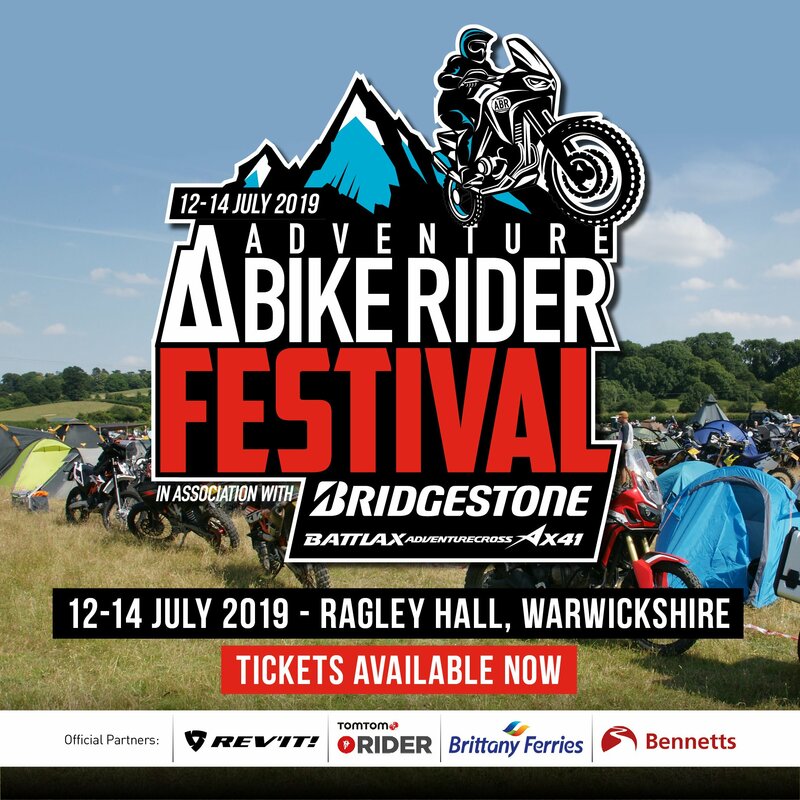 If you’re willing to splash the cash, you’ll be buying into thousands of miles of comfort and protection on the road, backed-up by a two-year Gore-Tex waterproofing warranty and a one-year manufacturer warranty. Safety comes in the form of plastic ankle and shin protectors along with a solid heel cup and toe box. There is a steel rod running the length off the boot, as well as a plastic reinforced inner sole. 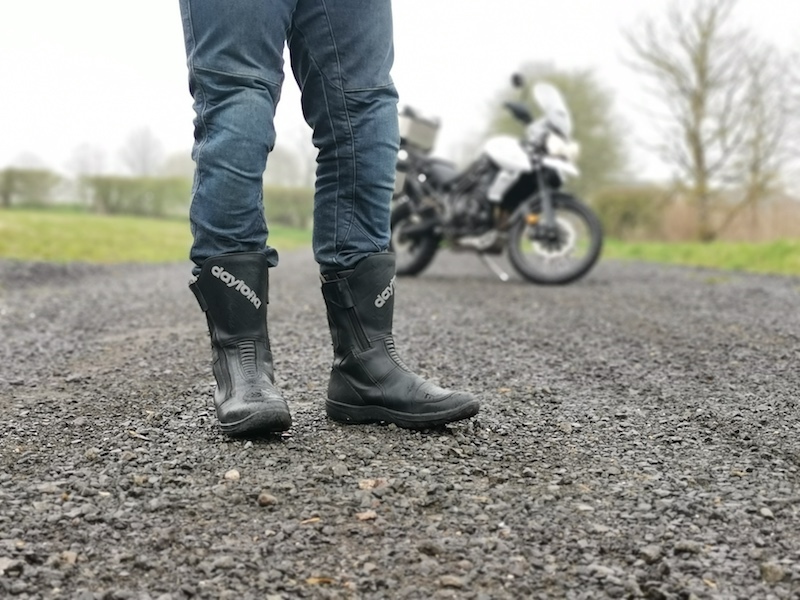 This allows enough flexibility to feel comfortable walking around off the bike, while providing enough rigidity to reassure me the boot would perform in the event of an accident. 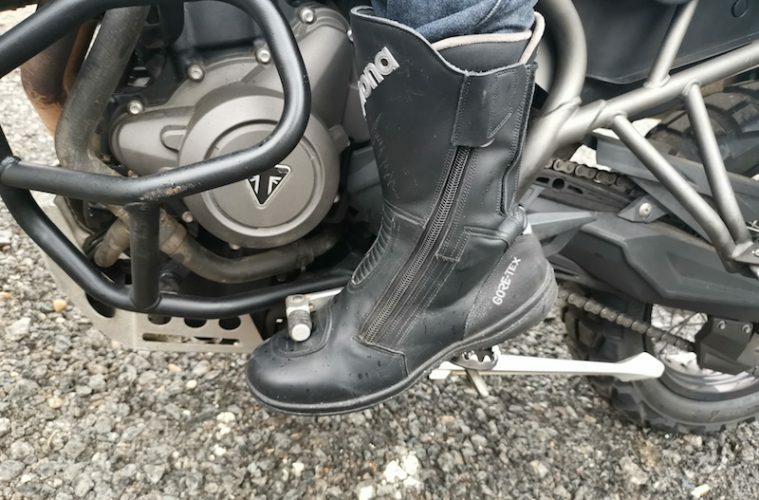 When it comes to waterproofing, the Road Star GTX passed our test with flying colours, with the inside of the boot remaining completely dry. This is thanks to the hydrophobic cowhide and Gore-Tex membrane, as well as the high-quality finish that left no room for water to seep through seams or zips. 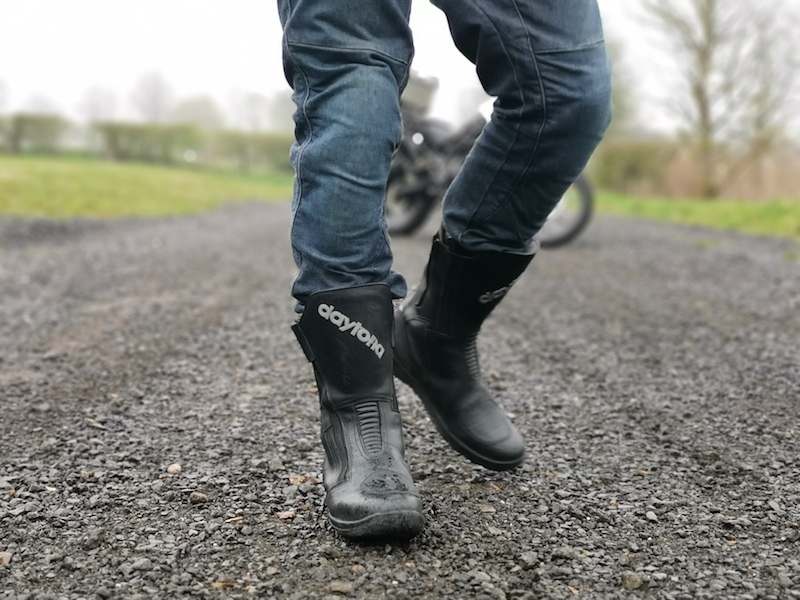 The two-zip fastening system ensures the boot is easy to slip on and off and features a nice chunky zip which can be gripped with even the thickest of winter gloves. 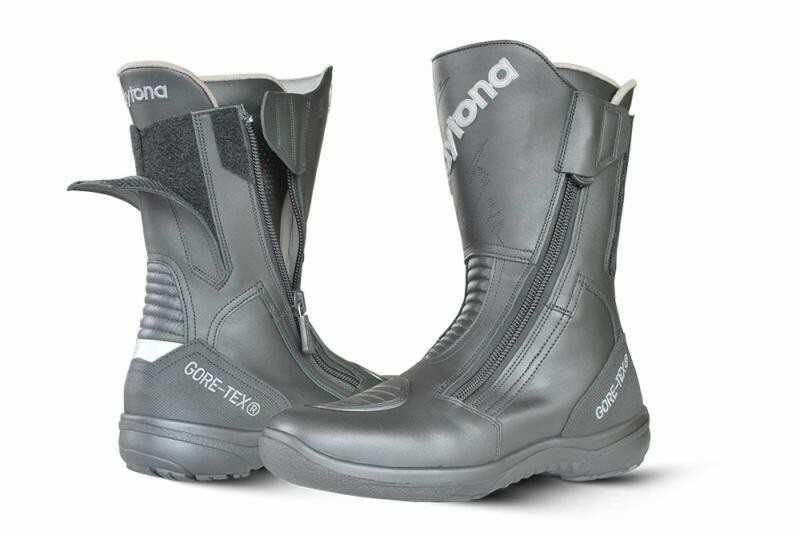 This is an extremely comfortable boot with a plush inner liner that helps keep your feet warm on cold days. It also features a suede cuff at the top for added comfort. It’s a nice touch and reflects the high-end nature of the boot. Adjustability at the calf means you can tailor the fit around your leg. 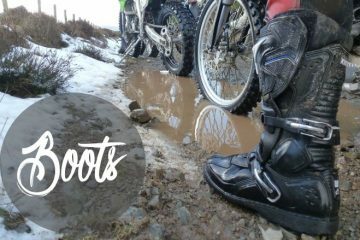 A non-slip rubber sole felt solid on the foot pegs and offered enough grip to feel confident walking around in the rain. There is nothing flashy about the Road Star GTX. 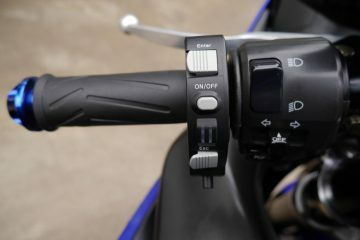 It simply looks like a high-quality item, from the neat stitching around the subtle gear shifter pad, to the textile reinforcement around the heel for added abrasion resistance. 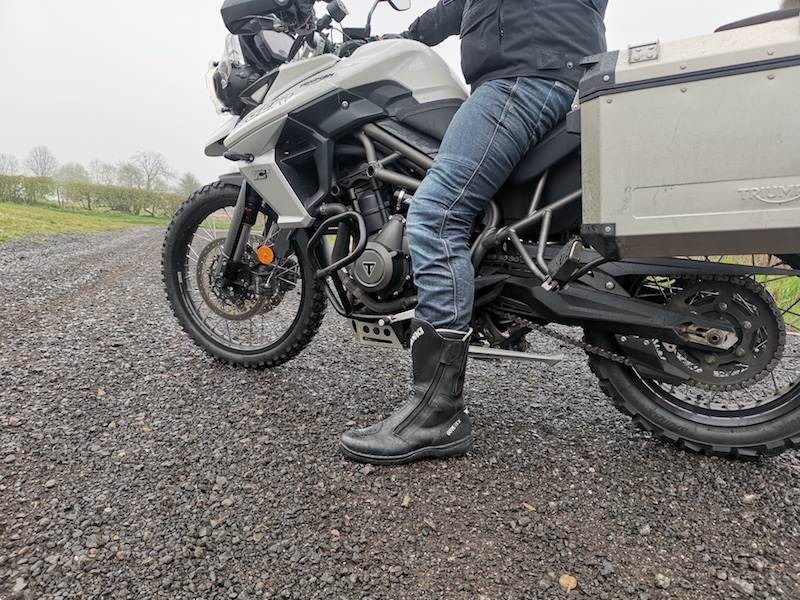 I’ve been riding the Road Star GTX throughout the winter and I’ve no doubt it will continue to be my boot of choice for long and short distances throughout the spring and summer.